Fleas are a nuisance. They can downright drive you mad! 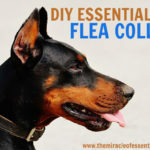 If you have fleas in your home, they could have been brought about due to pets such as dogs and cats, poor cleaning routines, or perhaps they were brought in from someone else who had fleas in their house! If you have pets with a flea problem, you’ll need to rid them of the fleas first. Next, you’ll want to completely clean out all furniture, carpets and beddings to get rid of the pesky bugs. From then on, you need to keep cleaning and monitoring for at least 2 weeks to make sure the fleas don’t breed and multiply to take over your premises once more. Now you could go the conventional route for getting rid of fleas by calling in pest control or fumigation services. But the insecticide they will use is not just a poison for fleas, it’s actually poisonous for you and your pets or babies too! The chemicals they use are neurotoxins, poisons and carcinogens. That’s why natural remedies such as essential oils are so worth it when it comes to keeping your health intact and the fleas firmly out of your life. 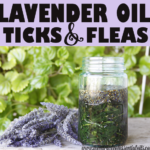 How Can Essential Oils Get Rid of Fleas? 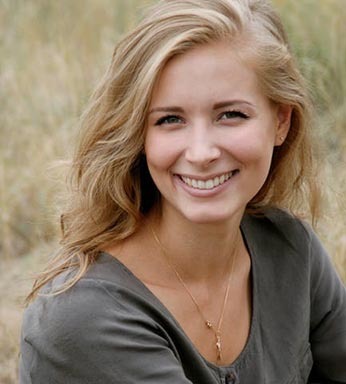 Essential oils are oily substances that come in tiny little bottles. But do not be fooled, these thick concentrated plant essences are filled with potent anti-bug and anti-flea compounds. 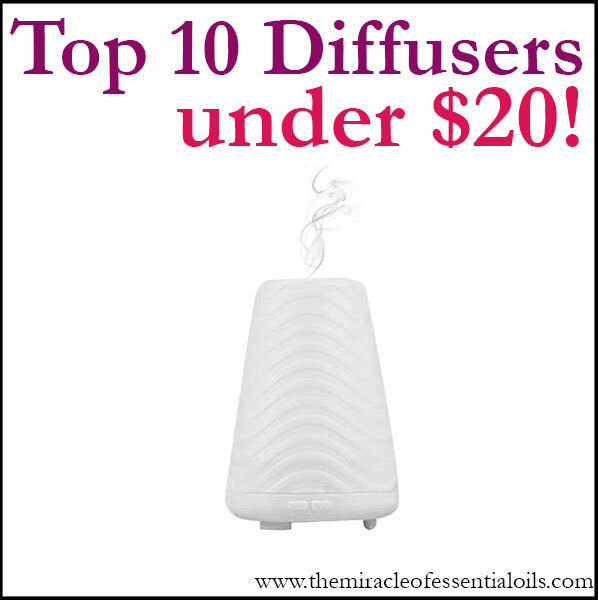 While essential oils smell pleasant to us, for little fleas the smell is down-right deadly. 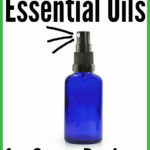 Essential oils not only repel fleas, but also kill them off by blocking their respiratory system. 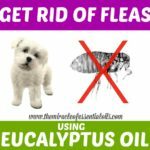 Let’s get right into how to make your own DIY essential oil flea spray, which can safely be used on your dogs as well. In an empty spray bottle (500ml capacity or more), pour in all the ingredients one by one. Firmly place the lid back on and shake to mix everything up. Wait for the bubbles to settle and check that there are no suspended essential oil droplets. Shake again if you see any. The witch hazel acts as an emulsifier to dissolve the oils. 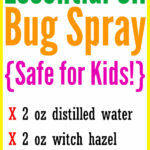 Use this spray to wipe down furniture and other areas of your house. 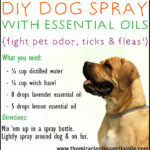 To use on pets, spray from a distance of at 6 inches away, and please do not spray near their eyes or mucus membranes. 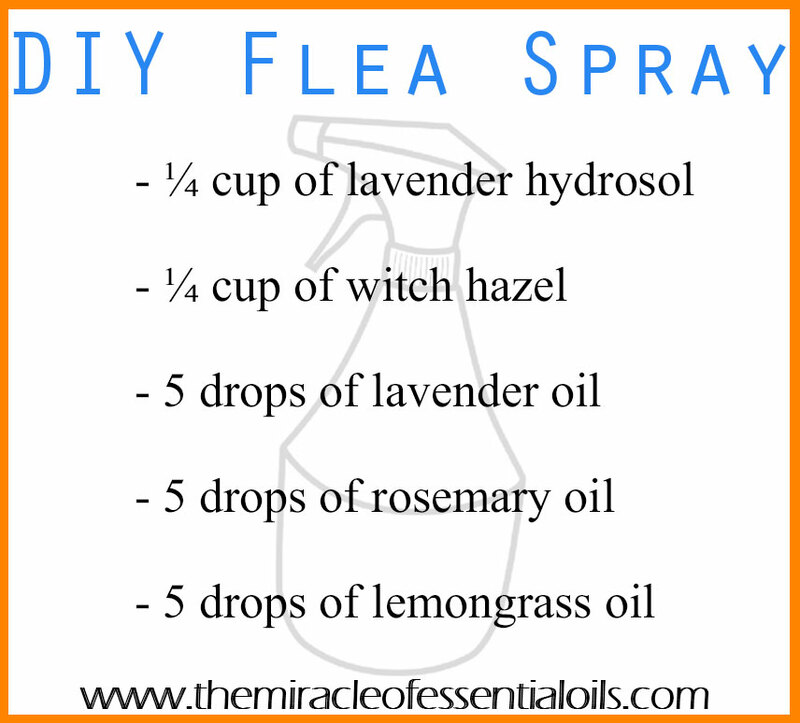 Will you make this easy DIY essential oil flea spray?